Founded in 1948, PUMA mission is to become the most desirable sportlifestyle company and to reinforce its position as one of the leading multi-category sportlifestyle brands. By relentlessly innovating to address the real needs of our consumers, by creating new markets, by pushing the boundaries and defining the culture of sportlifestyle we have established our unique brand positioning. At PUMA we fuel an open, entrepreneurial corporate environment that strongly supports innovative ideas from every corner of the company. We foster our unique company values: passion, openness, self-belief and entrepreneurship. 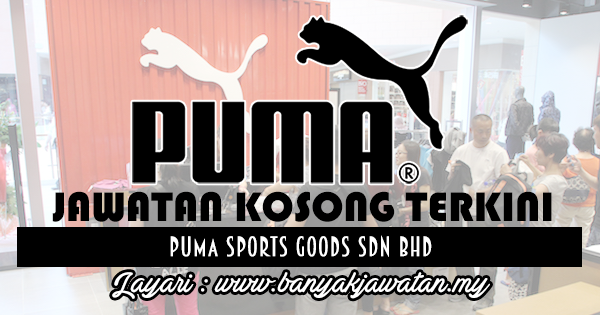 0 Response to "Jawatan Kosong di PUMA Sports Goods Sdn Bhd - 3 Disember 2018"